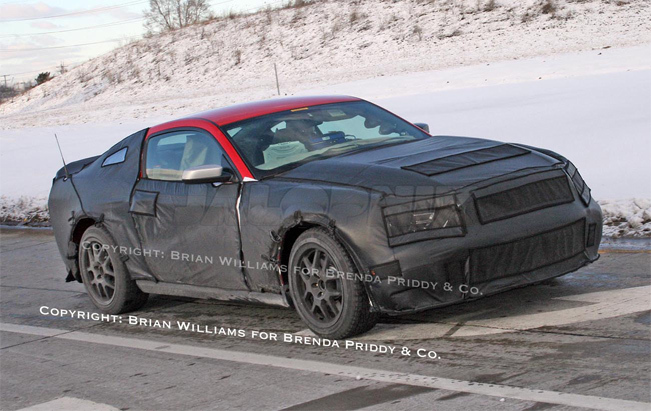 2010 Ford Mustang To Get Turbo-Boosted 5.0-Liter V8? If you believe Bill Osborne, President of Ford Australia, the 2010 Ford Mustang will get the new 5.0-liter engine under the hood — potentially with some turbocharging or supercharging mixed in. He dropped the bomb on the kiwis over at Stuff.co.nz while talking about engine mixes on the next Ford Falcon. Here's what they say about what he said in order to limit that whole game o' telephone: Beyond that Osborne confirmed a new 5.0-litre V8 to be developed and built in North America for the Ford Mustang was being examined for possible use in Ford's new Falcon. "We have taken a look at [that V8] and it looks like it will be a pretty competitive engine, particularly if we decide to boost (turbocharge or supercharge) it as well," said Osborne.